TREVOR ASHLEY | Love Productions Inc.
Trevor Ashley is one of Australia’s most sought-after and successful performers. He has built a career as an actor, writer, director and international queen of cabaret. Ashley recently starred as Thenardier in Cameron Mackintosh’s Les Miserables for which he received a Helpmann Award nomination. Previously, Trevor played the leading role of Edna Turnblad in David Atkins’ Hairspray (Sydney Theatre Award nomination), and was also an original cast member of Priscilla Queen of the Desert – the Musical, creating the role of Miss Understanding. But it is in the works of his own creations that he truly shines including, Fat Swan (Helpmann nominee), Little Orphan TrAshley, Diamonds Are For Trevor (Helpmann nominee), I’m Every Woman (Sydney Theatre Award – Best Cabaret), and Liza (on an E), a show which has taken him around Australia and the world, culminating with a season in London’s West End. 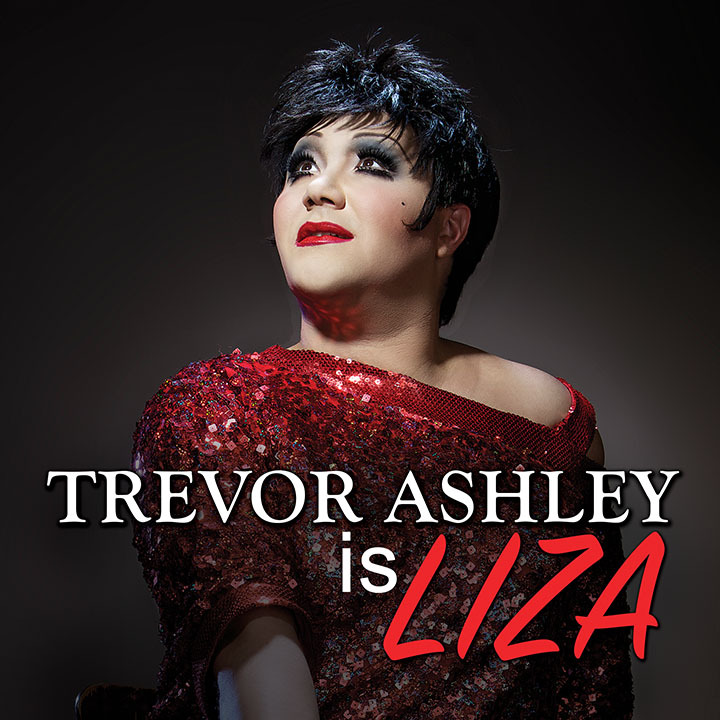 Trevor most recently sold out two Sydney Opera House performances of his brand new show Liza’s Back! (is broken), which debuted in London and he premiered TWINS for the Melbourne International Comedy Festival with the fabulous Rhonda Burchmore.